A permanent mission to Switzerland was established in 1848 when a new federal constitution was adopted and Berne became the seat of the federal authority. 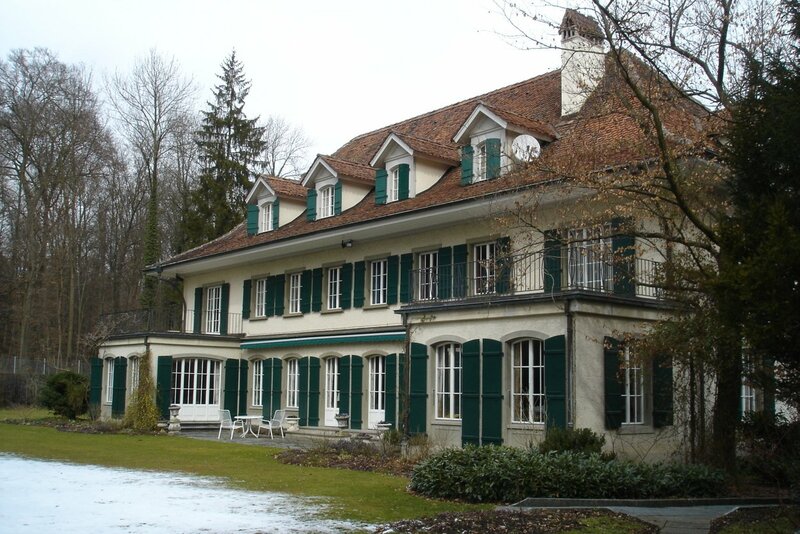 There was nowhere for Esme Howard to live when he arrived as minister in Berne in 1911 because his predecessor, recently widowed, had lived throughout his tour at the Bernerhof, Berne’s leading hotel. Howard therefore leased a house at 20 Elfenstrasse (today the Polish residence), in the newly laid-out part of the town south of the centre, from a family called de Muller. Into it he also moved the legation office from its two small and insecure rooms in a small villa. Soon after, he tried to persuade London to buy the house because the lease was not going to be renewed, but the de Mullers were asking for a higher price than the Treasury could be persuaded to authorise. At the same time, the Brazilian minister’s lease on the nearby house at 50 Thunstrasse, on the Thun Platz between Thunstrasse and Kirchenfeldstrasse, was expiring and the architect owner, Heinrich Berthold von Fischer, wanted to sell the property. The Office of Works sent one of its architects, John Markham, to have a look: he thought it suitable, and Richard Allison, the chief architect, and the Secretary supported him. The Treasury agreed to lease it immediately and to buy it in 1913/14 for £10,000. Howard put up a fight, arguing that another house on Elfenstrasse, No. 10 (today the Italian residence), would be preferable to 50 Thunstrasse. Allison visited and re-confirmed 50 Thunstrasse, the purchase of which then went ahead in 1912. The motor shed which stood at the back of the site was taken down and sold, and a small chancery block was built in its place in 1914. 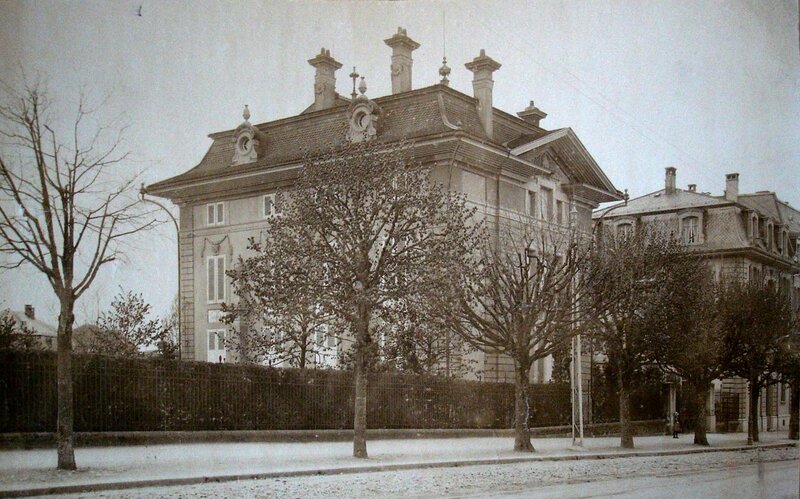 This building was called 50A Thunstrasse until 1926 when it became 83 Kirchenfeldstrasse. In 1918, the adjacent house on Thunstrasse, No 48, was bought from a Mr Locher to meet the post-war demand for more office accommodation. By the end of the Second World War, all of the legation’s space was intolerably overcrowded, but a solution was to hand. The Swiss government had taken possession of the German embassy properties in Berne and in June 1946 an arrangement came into effect by which the Swiss government leased for its own use the two British Thunstrasse buildings and, in exchange, leased to the British government the former German residence at 32 Brunnadernrain, built in 1912, and the nearby German office annex at 83 Willadingweg, built in 1940. This arrangement worked well enough for a spell but, especially once the status of the legation was raised to embassy in 1953, pressure mounted to move out of the German buildings. Agreement was elusive about whether the residence or the offices or both should return to either 48 or 50 Thunstrasse or both, or go elsewhere. 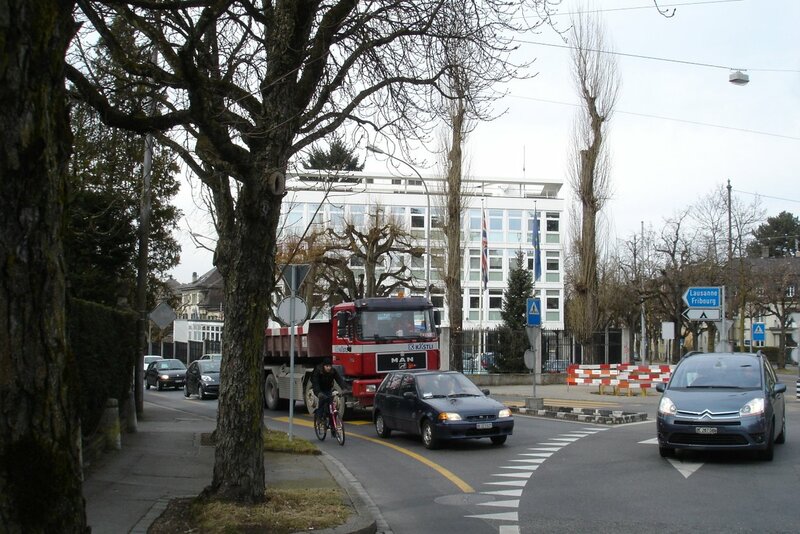 A Swiss bank offered to lend the money to demolish 50 Thunstrasse and build new embassy offices on its site. London and Post were uncertain whether to be so radical. The impasse was broken when a potentially suitable alternative residence was identified in 1955. 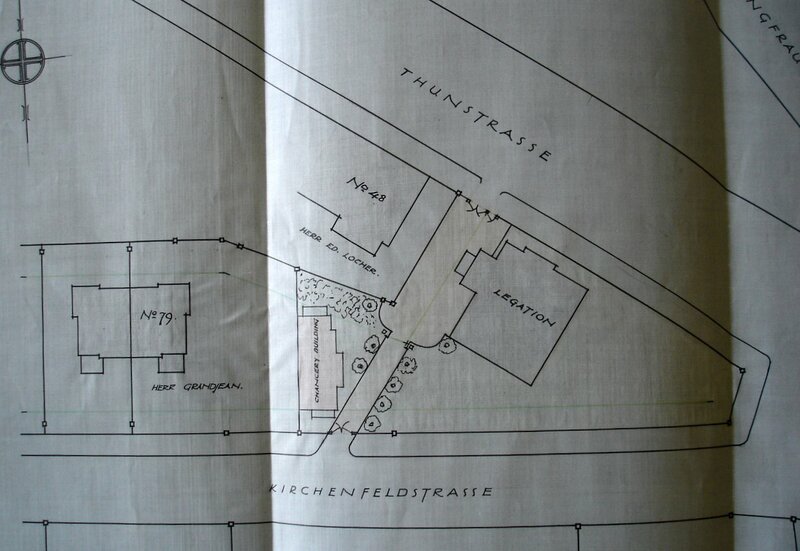 A Mr Surber had commissioned an architect called Zurcher to design a good house for the site that he owned at 11 Brunnadernrain: he was even prepared to lease the house, once built, to a suitable tenant. The Ministry of Works negotiated various alterations to the building under construction, probably including the successful sequence of study, drawing and dining rooms along the garden front, and the house was leased as the residence in 1956. In 1959 the dining room and study were extended and a covered veranda built between them. Mr Surber died in about 1965 but his family continued as the landlord, giving the British government a pre-emptive right to buy if it decided to sell. When it did so decide in 1991, the Foreign Office could not afford the SF 10 million price and passed up the opportunity to buy. New owners honoured the lease that was to expire in 1998 and the FCO, after extensive but fruitless searching for a preferable alternative residence, finally bought the house for SF 7.5 million in 1997. It remains the residence, slightly larger than essential but a thoroughly agreeable and workable house in the right place. With the residence problem resolved, it made good sense to develop the site of 50 Thunstrasse, which the Swiss had vacated in December 1955, for offices. 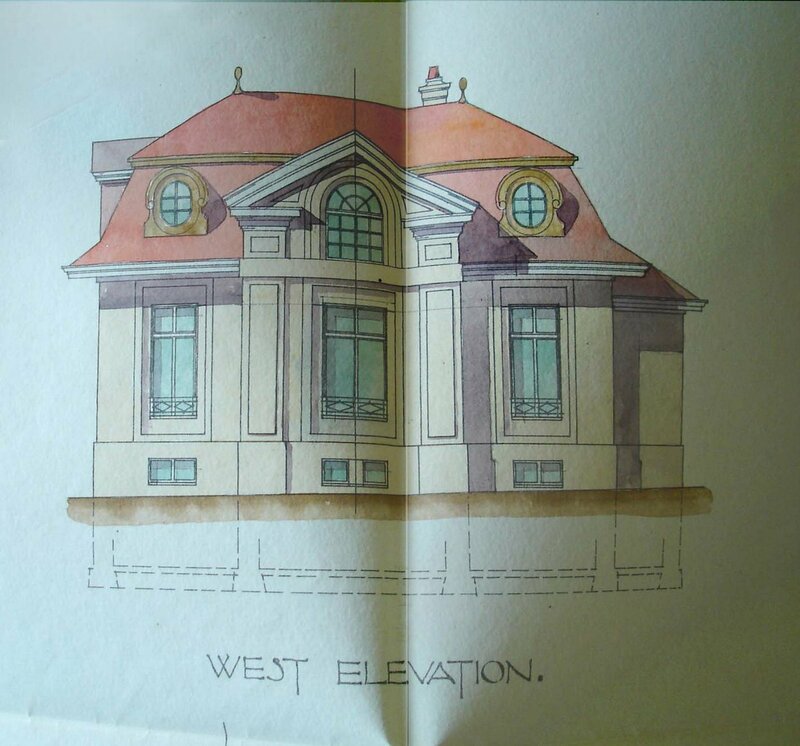 Sketch plans were prepared by 1959 by Peter Searle, a senior architect in the Ministry of Works, with Henry Daxelhofer as local architect. The Swiss authorities had at first suggested a curved frontage to the oval Platz but the Fine Arts Department, otherwise referred to as the Aesthetics Commission, later preferred a straight frontage. The height of the four storey building had to be reduced at a late stage by twenty centimetres to preserve legally protected views to the Alps from the public gardens next to the cathedral. The building, by law, had to provide an air raid shelter. 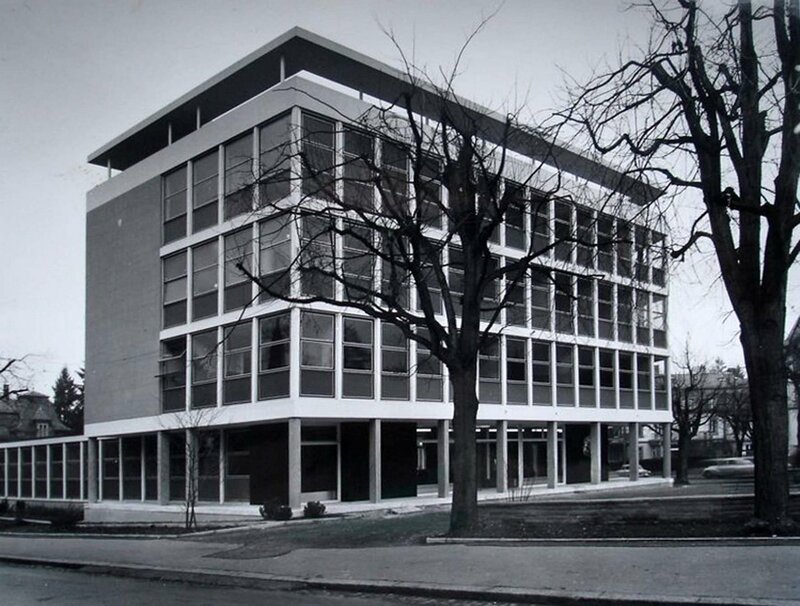 Construction started on site in April 1962 and the building was occupied in March 1964, at a cost of £120,000, enabling the vacated 48 Thunstrasse to be converted to four flats. The air raid shelter below the new offices doubled up as the embassy club, called the Locarno Room. The office building remains the embassy. Siteplan of legation house, 1913. 50 Thunstrasse, with No.48 at right, c.1920. 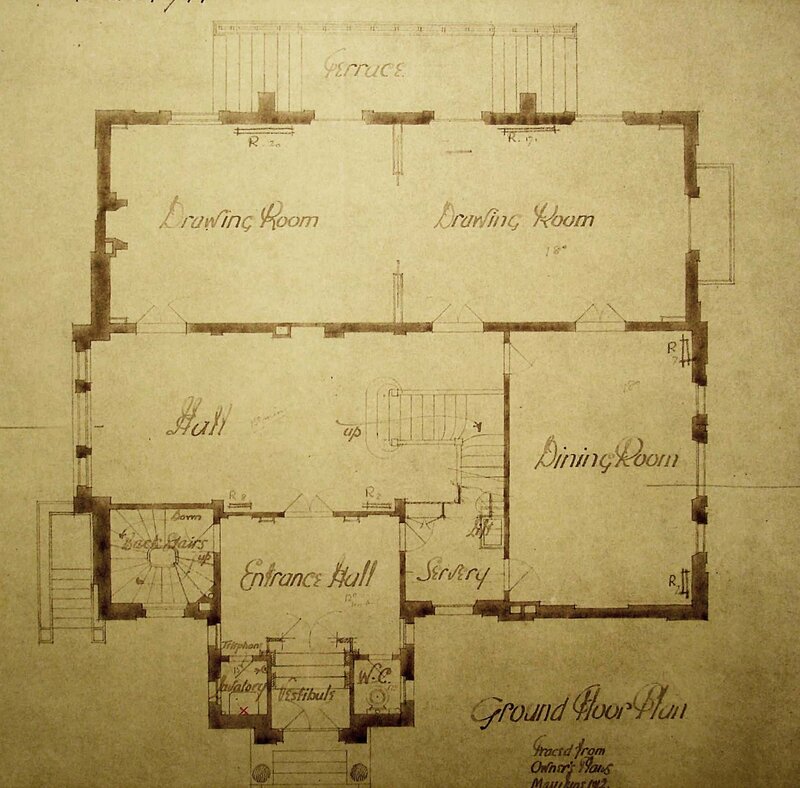 Ground floor plan of legation house, 1912. Proposed chancery block at rear, 1913. 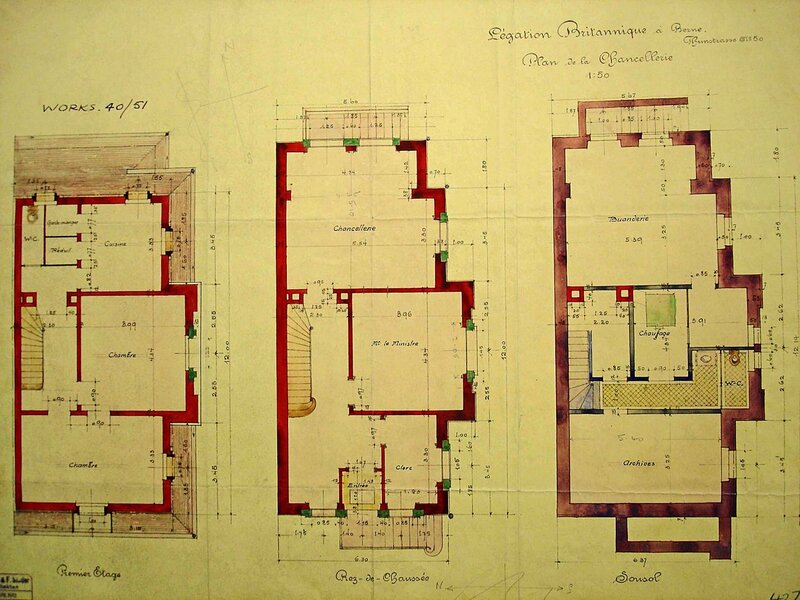 Suggested chancery block plans, 1913. 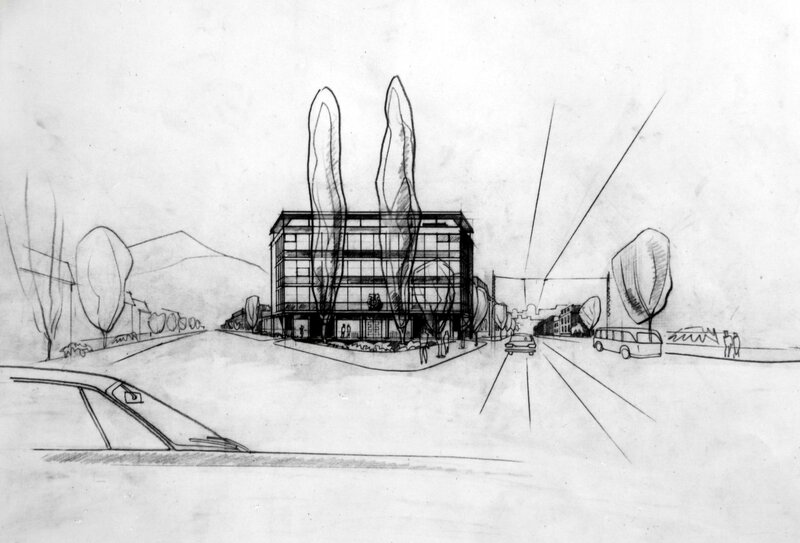 Sketch of proposed offices, 1961. In the early-1960s, the offices were in two villas, Villa La Fenêtre and Villa Le Chêne. A 7-storey building at 37-39 Rue de Vermont, scheduled for completion in the mid-1960s, presented the opportunity to bring several of the permanent missions together. The Disarmament Delegation, EFTA/GATT Delegation, UK Mission to UN, as well as the consulate-general, moved into the 5th and 6th floors in 1966. These missions, or their successors, remain in occupation of the upper half of the building. The foremost residence, occupied by UKMIS, was at 10-12 Chemin de Bellefontaine, and called the Bellefontaine estate. It was first leased in 1971 for 10 years, occupied in early 1972, and purchased in 1977 with the remainder of the estate, including another house, the Old Coach House, which was converted to a senior staff house.